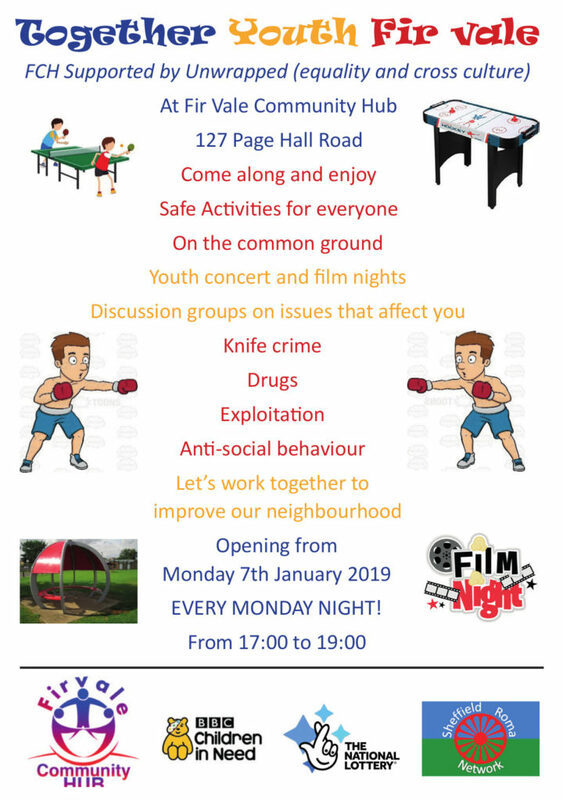 Come along and enjoy safe activities for everyone. On the common ground at Fir Vale Community Hub. Let’s work together to improve our neighbourhood. At Fir Vale Community Hub, 127 Page Hall Road S4 8HH. FCH Supported by Unwrapped (equality and cross culture).